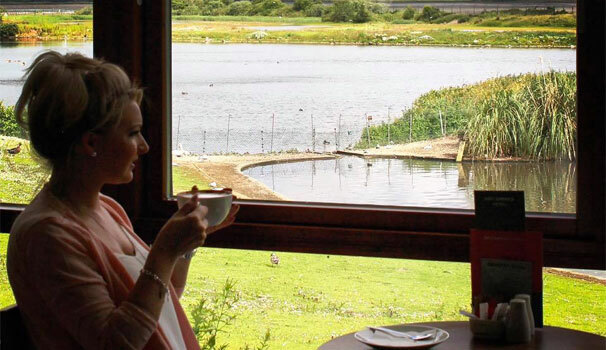 The Wildfowl and Wetlands Trust, Visitor Centre, Castle Espie near Comber is a place well worth visiting for its wealth of wildlife but this café makes a visit even more attractive. Open for breakfast, lunch, drinks and coffees, they serve home-cooked hearty breakfasts, seasonal specials, and light lunches, Castle Espie classics such as homemade lasagne, chicken goujons and seasonal afternoon teas. They have also hand-picked a selection of quality fair-trade coffee and teas, plus a great range of refreshing soft drinks – the perfect match for their signature scones, tempting tray bakes, moreish muffins and homemade cakes and tarts. There are lots of menu options for little ones, child-friendly facilities, a soft play area and plenty of room for buggies too. There is also a Space to Change facility for people unable to use the conventional wheelchair-accessible toilets. As for the phrase “a room with a view”, it was practically invented for the Kingfisher Kitchen. It has unrivalled and uninterrupted views of the nature reserve’s lake across to Scrabo Tower. After enjoying the Kingfisher Kitchen, you can round off your visit by exploring the tranquil Sensory Garden and the Castle Espie Gallery, which are also admission free.